Actually the title of this post is a bit of a misnomer. Keeping appointments in an age of competing calendar systems is a bit of a science, but we’ll come back to that. This week I’ve had about 4 meetings that have resulted in me turning up and having a coffee with one of the meeting participants but without another, or with no-one turning up at all. As someone who is essentially OCD about being on time and present at all meetings to which I am invited, this is always a bit of a problem for me, because working for a number of businesses means my time is very limited. Even losing 45 mins is a huge chunk of my day. But while some meetings are missed because of a brain fade on the part of a participant, the reality is that most meetings are missed because of issues with calendaring systems. Competing calendar standards are almost universally at fault for missed appointments, partly because systems don’t record meeting acceptances, or because of time zone differences, or because appointments don’t even appear on a person’s calendar. But there are solutions to this problem, and they are relatively simple to implement. Whether you have a system which uses iCal or vCal standards, you can import calendar appointments. Instructions for importing iCal formatted appointments are here: http://fileformats.archiveteam.org/wiki/ICalendar If you are an iCal system user, then it’s just a matter of changing the suffix of the file. More instructions here: http://www.mactips.info/2012/05/how-to-rename-vcs-files-so-ical-can-open-them. There’s even instructions around about how to import either format to Google Calendar: http://www.howtogeek.com/howto/30834/add-an-ical-or-.ics-calendar-to-google-calendar/. If you have other file formats with a corporate system, you will usually be able to export appointments into iCal or other formats for sending to meeting participants. It’s clumsy but if your audience are not able to ‘see’ the appointments, then it’s a useful alternative system. A great many people fail to set their local time zone correctly on their calendar systems. This can cause all sorts of problems across local and international boundaries. If you know there are differences in time zones, then it’s always worth checking with the person you’re speaking to about which specific time zone they are in. 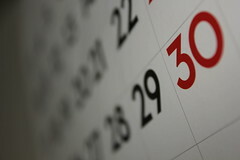 Then I use the TimeAndDateDotCom meeting planner to be very sure about the time at which a meeting will be held. I even include the details in the meeting notes. It saves so much confusion. I have several different email addresses and appointments can get sent to any of these accounts. What I now tend to do is forward all messages to one email address so that any appointments will turn up on that final email account. And while you can’t easily ‘accept’ a meeting invitation with an account other than the one to which an appointment is set, if you copy a URL link to accept an appointment and then open an incognito/private window on a browser, you should be able to accept that appointment. Of course, nothing can prevent last minute emergencies and issues from arising for meeting participants, and you have to respect that sometimes, people will be delayed or prevented from attending. I think the best way to ensure that appointments are kept as much as possible, is for the technical issues to be overcome as much as we can, so that those random events can be treated with the sympathy and respect they deserve. This entry was posted in business, Uncategorized and tagged business, calendar, diary, meetings. Bookmark the permalink.